We invite you to play a truly remarkable 27 hole golf course! When Bent Brook first opened in 1988, it was founded on the commitment to build a new type of public golfing facility - one which would provide a new level of golfing excellence for all to enjoy. Even with the many public courses which have opened in recent years, Bent Brook remains at the top of the list. In 1991, Links Magazine named Bent Brook the Number One Public Golf Course in Alabama. Patrons still receive the warm, friendly service for which Bent Brook has become known. Located just eight miles west of the Riverchase Galleria on I-459 near Birmingham, Alabama, Bent Brook's 27-hole layout keeps golf fresh and exciting every time you play. Each of the three nine-hole designs, Brook, Graveyard and Windmill, has unique features of its own. What better reward for a job well done than a day at the golf course? Bent Brook makes saying thank you easy with its turnkey corporate outing and tournament programs. We'll provide guaranteed reservations, pre-staged carts, scorecards and rule sheets, score tabulation, catering-even assistance with your awards ceremony. Brook is threaded by a natural stream, and Graveyard is the site of a small cemetery which remains on the property. Windmill is the site of Bent Brook's landmark windmill. One special hallmark of Bent Brook is the farmhouse-style clubhouse. This ample facility was designed to fit the dairy farmland on which Bent Brook was built. Inside there is a pro-shop, locker rooms and a spacious deli style restaurant overlooking the course. The course has Bent Grass greens and Tift 419 Bermuda fairways, with large teeing areas featuring four sets of tees, creating a challenge for golfers at all levels. The facility also boasts an indoor/outdoor instruction center, one of the finest instruction facilities in the south. We also have a PGA professional staff to help you with your game. Lessons can be arranged in advance by calling the pro shop. To play, simply call 205-428-1999 for starting times. Tee times can be booked three days in advance, or log on to http://www.bentbrook.com, where tee times may be booked 7 days in advance. Please call 205-424-2368 for current rates. * Stay on Dickey Springs Road for 1/2 mile and Bent Brook is on the right. 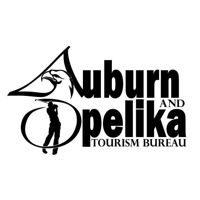 Call 205-424-2368 for rates and tee times. Contact Bent Brook Golf Course at 205-424-2368 for more information and details on holding a golf outing at the course. Contact Bent Brook Golf Course at 205-424-2368. Contact Bent Brook Golf Course at 205-424-2368 for onsite or nearby dining options. This profile was last updated on 07/24/2018 and has been viewed 9,758 times.